Former prime minister calls on supporters of the left to unite behind the leadership of Avi Gabbay. Former Prime Minister Ehud Barak on Wednesday urged the left-wing bloc to work together to replace the government. 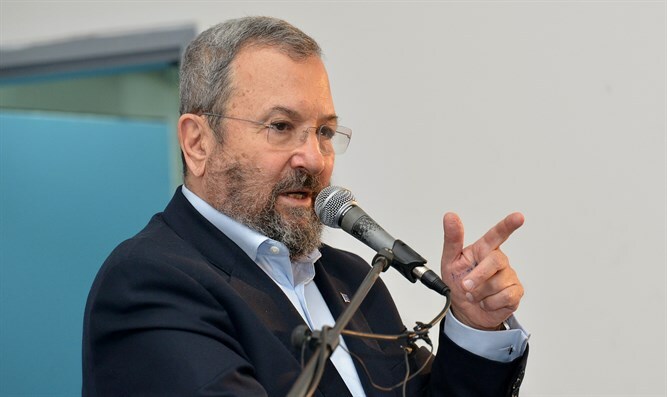 "There is no real impediment, apart from the ego of people, to unite,” Barak told Channel 13 News in an interview, claiming that the April elections will be “fateful”. “Netanyahu, with his back to the wall and facing the abyss and the prison, will do everything including passing the French Law (named after clause in the French constitution that grants the head of government immunity from a criminal investigation -ed.) in order to protect himself from an indictment for bribery," he added. “It is clear that the entire left camp is weak when Labor is not united. I think Tzipi [Livni] is an excellent woman, and [Avi] Gabbay is an exceptional leader in his personality and accomplishments," continued Barak, who opined that Gabbay is suited to lead the leftist camp. "There is no doubt, they elected him. In the Labor party, not everything is decided between the ears of one person, as is the case in other parties, so there are struggles and objections, I know this firsthand, but Gabbay is a very serious man." "In this atmosphere, corruption is not viewed as something that needs to be fought, but as something that is self-evident and must be reconciled. This affair casts a particularly heavy shadow when you think about the figures involved in the affair - Mandelblit and the friends he chooses for himself. Shaked's discretion and the deals she approves. How does she allow such a figure to be a central figure in what the committee for the appointment of judges decides?" Barak added.